In 2013, Macleans.ca reported that 65% of Canadians have a valid passport. Having a valid passport is now more important than ever, as one is required for travel to almost any country in the world. It is also an important form of identification and can be used for various purposes in Canada, such as financial applications, proof of identity and more. While most Canadians know the basics, such as how to apply for a passport, there are other important facts and information you should know. Regular passport: These make up 98% of the five million passports issued each year. They have a blue cover and are used for regular travel. Diplomatic passport: These have a red cover and are issued to high-ranking government officials and diplomats. Special passport: These have a green cover and are issued to senators and members of Parliament. Temporary passport: These have a white cover and are issued to those with an urgent need for a passport while they wait to receive their regular passport. Yes. 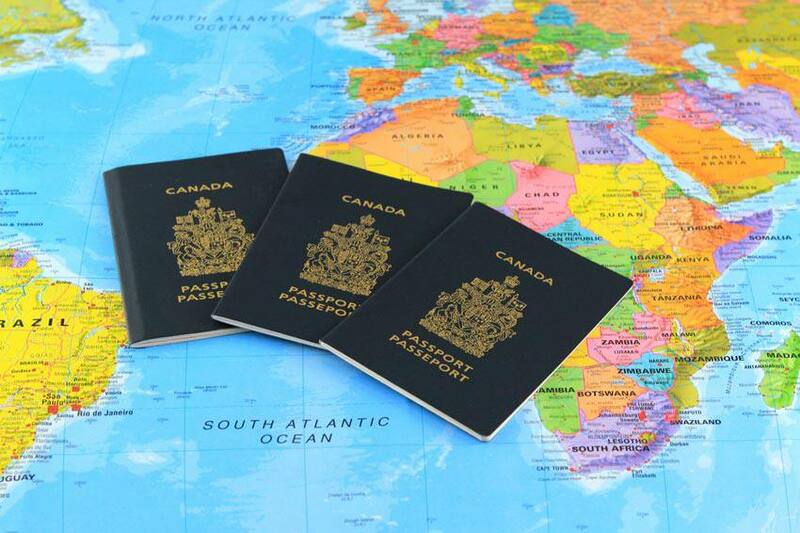 All Canadian children up to the age of 16 years need their own passport to travel. Children’s passports are valid for five years. Only a child’s parent or legal guardian may apply for the passport, and specific documents must be provided at the time of application, along with the child’s photos. What happens if I lose my passport? If your passport is lost or stolen, you should report it immediately. As soon as it’s reported, it is no longer valid and cannot be used for travel. If you are in Canada, you can call the passport office or visit a passport office near you to begin the process of getting a new passport issued. If you are travelling outside Canada and lose your passport, report it to the Government of Canada office nearest to where you are. How soon will my passport be replaced? Some passport-issuing offices offer urgent and express services. You must apply in person and may need to show proof of upcoming travel. If your situation is urgent, your passport can be ready for pickup by the end of the next business day. Can I travel with a passport that has been damaged? Damaged passports should be replaced. If you travel with a damaged passport, you may be met with delays on flights or at airports, or even be denied entry at border crossings. Some examples of damage include exposure to water or high humidity, a ripped or torn page, and unauthorized markings. GoEuro conducted a poll and ranked Canada’s passport as the seventh most “powerful” passport of 51 countries that were assessed. Rankings were based on the number of countries a passport holder can travel to without needing a visa before travelling. Canadian travellers can enter 173 countries visa-free. Only passport holders of the United States, Sweden, Finland, Germany and the UK can enter more countries, but only by one (174). How does the cost of the Canadian passport compare with that of other countries? Turkey has the most expensive passport, at almost $350 CDN. Countries where passports are more expensive than in Canada include the United States, Italy, Switzerland, Australia and Mexico. The least expensive passport is in the United Arab Emirates, costing about $18 CDN. A unique security feature of the Canadian passport is that there are graphics that can only be seen under a blacklight.